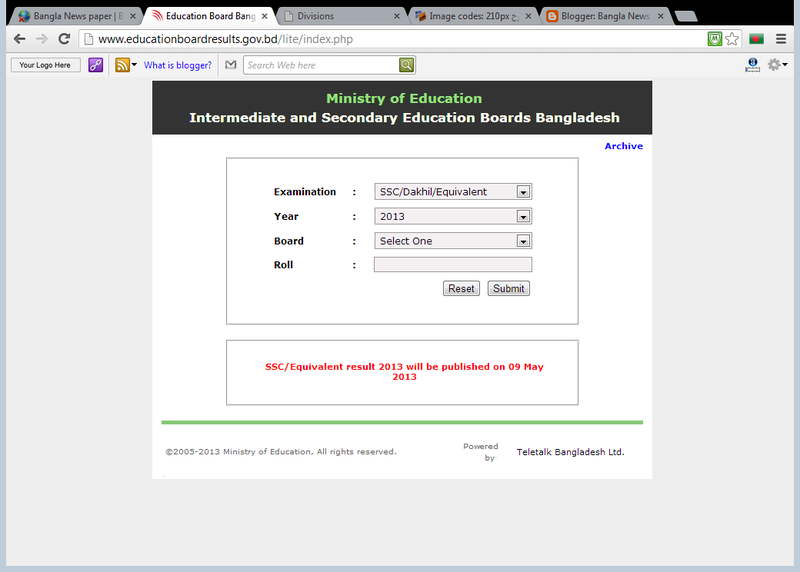 9 of may S,S,C result will be published in Bangladesh .This examination begun last February and end up 5 th of march .You can get your result from your school and also you can get from education board website (Intermediate and Secondary Education Boards Bangladesh) go this website http://www.educationboardresults.gov.bd/lite/index.php.Just select your board and put your roll number as they demand then confirm and you will get your result . How to get S,S,C result in Internet . 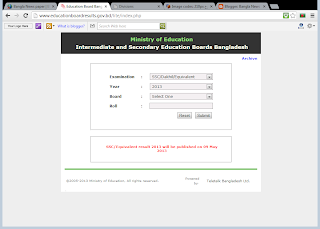 How to get ssc result by using mobile message in Bangladesh. If you would like to know about your result by using Mobil service please follow this guideline . Just Go to your mobile message option . Now type S,S,C for general board and Dakhil for madresa board. Now type your Roll number and date of your examination . Now you will get your result . Use this key word for your education board .